XnView for Windows 7 - A cross-platform tool designed for viewing and cataloging images, supporting a huge number of multimedia formats. The program can work directly with the scanned objects, preparing them for further transfer to a physical storage medium. If you expand the application with necessary codecs, you can achieve easy integration and support for playing audio and video formats. 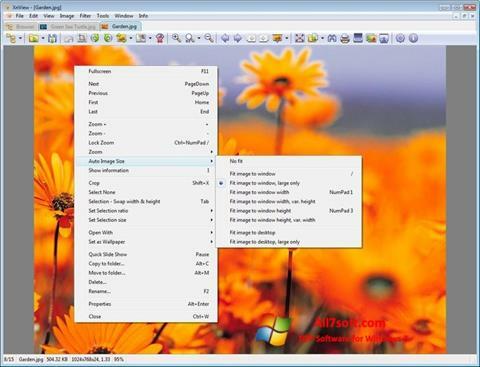 You can free download XnView official latest version for Windows 7 in English.